You may have free money waiting for you. Hundreds of thousands of dollars in unclaimed checks, some more than $17,000, will be transferred to the city of Glendale's general fund unless the rightful owners come forward soon to claim them. City officials posted a list of 1,510 companies and individuals who have unclaimed checks totaling $282,998.50— all just waiting to be picked up. “The money has always been sitting there," city spokesman Tom Lorenz said. “We have money here that belongs to people." The checks – mostly refunds for city services, overpayment of fees, and grant applications—are sitting in city coffers encumbered to the individuals they're issued to. Some of the checks were never picked up at City Hall, others were mailed to the recipient, but never cashed, Lorenz said. 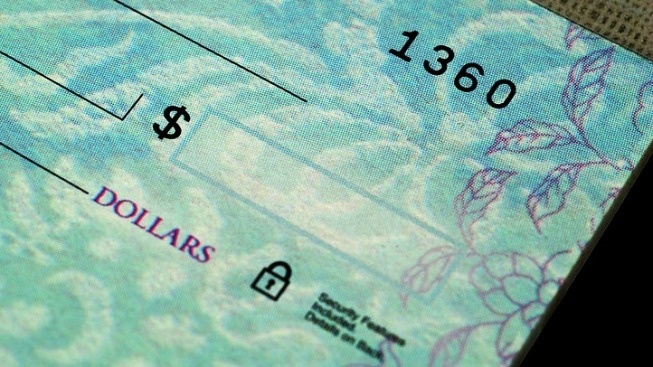 The checks date back to 2002 and range from around $1.45 to $17,457. "The largest check is owed to Mervyns – a refund authorized by our Water and Power for putting in special lighting," Lorenz said. Other big checks included Colony LLC, which has an $11,000 deposit refund from Glendale Water and Power, and Days Inn, which has a $3,000 energy refund check for putting in a new HVAC system. According to state law, agencies can transfer unclaimed payouts to their general funds once the checks are three or more years past their issue date. "Were not going to do that right now," Lorenz said. After receiving a number of requests from companies who charge a fee for finding unclaimed money for clients, Lorenz said the city decided to post a list to their website. "We might as well go ahead and post it so people can come directly to us," Lorenz said. To claim the money, individuals must fill out a form on the city's website and mail it to city hall. "I can tell you one person did inquire when he saw his name," Lorenz said. "That was our city clerk." Ardashes Kassakhian was owed $52.00. He plans to put in a claim.